New player here along with a couple of friends who joined your server today. I came across details of your server when googling how to deal with players who consistently spawn kill us on an official server. Didn't seem to see anyone else online (The Island), just checking if I missed anything? Also, can alpha Dino's destroy structures while we are offline? There is a nearby alpha Carno on the beach freaking me out. Anyway, just writing to say hi and nice to meet you. Hopefully catch some of you guys in-game. Welcome, the Island is a little bare right now because we are on Arbitration right now. We do have offline raid protection so your base and dinos are safe when you are off but, your body is not. Many of us talk on the Team speak when we are playing. Come on over and join us. Welcome to the server, most of our players have been enjoying the new Aberration cluster we recently added. Please make sure you and friends read the server rules and settings for the server and all four maps on the cluster. I am sure you will enjoy our servers as they are made up of very good helpful people. Make sure you log in when you visit this forum to be able to view our members only content. 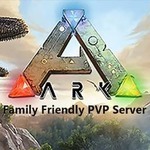 Again welcome to the ArkFam and we hope you enjoy your new home. Thank you for the warm welcome. Will be nice to join you guys but probably better that we improve our game on The Island first. Abberation looks intense and we've only just managed to tame raptors XD. Really cool that we can see how much damage our weapons do.